Schoolboy pitching sensation Shohei Otani has reversed his decision to jump straight to Major League Baseball by agreeing to join Japan's Nippon Ham Fighters. 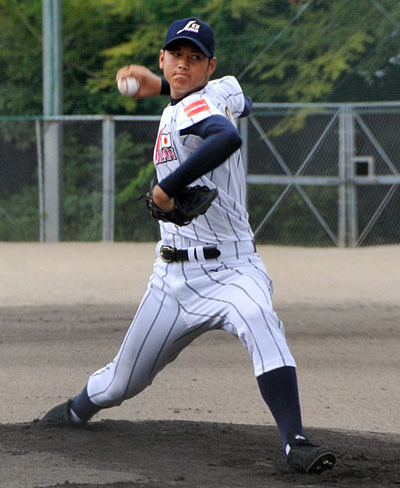 (Reuters TOKYO) The 18-year-old, whose possesses a 160kph fastball, told reporters on Sunday he would join the Sapporo club after being selected as the first pick in Japan's draft in October. "I have decided to stay in Japan," Otani told a news conference. "I want to repay all the people who have supported me by becoming a pitcher children look up to." Otani's desire to join an MLB club directly from school alerted the New York Yankees and Boston Red Sox among others but also sent shockwaves through the Japanese game. His wishes were complicated when he was selected by the Fighters just days after announcing he wanted to go straight to the major leagues. It also prompted Japanese officials to consider lifting current rules which ban players who go abroad directly from high school from playing in Japan for three years on their return. The so-called 'Tazawa Rule' came into effect in 2010 after corporate league pitcher Junichi Tazawa opted to skip the draft to sign with the Red Sox. The Fighters will present Otani, from Hanamaki East high school in quake-hit northeast Japan, with the number 11 jersey previously worn by Yu Darvish, now with the Texas Rangers.